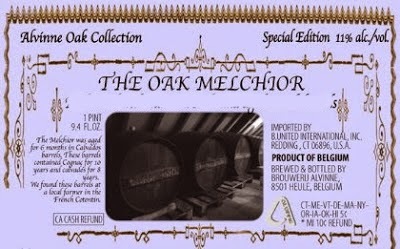 The Oak Melchior - Special Edition. One of the hoppiest beer in Belgium! Flavor/Taste profile: Spicy, malt-sweet, hoppy-bitter palate, with a very very long dry & bitter finish. The Saison was the first beer of the brewery.Saison is a blonde beer brewed according to the ancient Saison tradition of the province of Hainaut. The French sounding name of the beer clearly refers to this. Saison d’ Erpe-Mere is brewed exclusively with natural ingredients: artesian water, barley and wheat malts, liquid sugar, hops and yeast. The result is a dry, hoppy, fruity and slightly veiled beer with 7.5 % alc. vol. 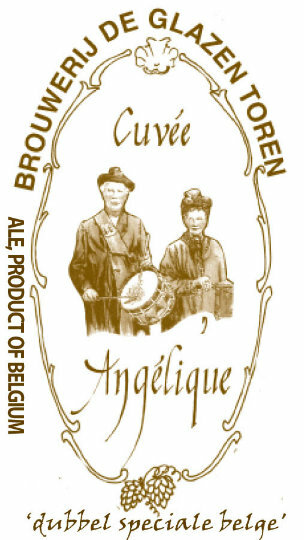 "The “Speciale Belge” beer style was created in 1904 for a brewing contest that was organized by the Universities of Belgium. The goal was to improve the quality of Belgian beer. The winner was a new style, called “Belge”. 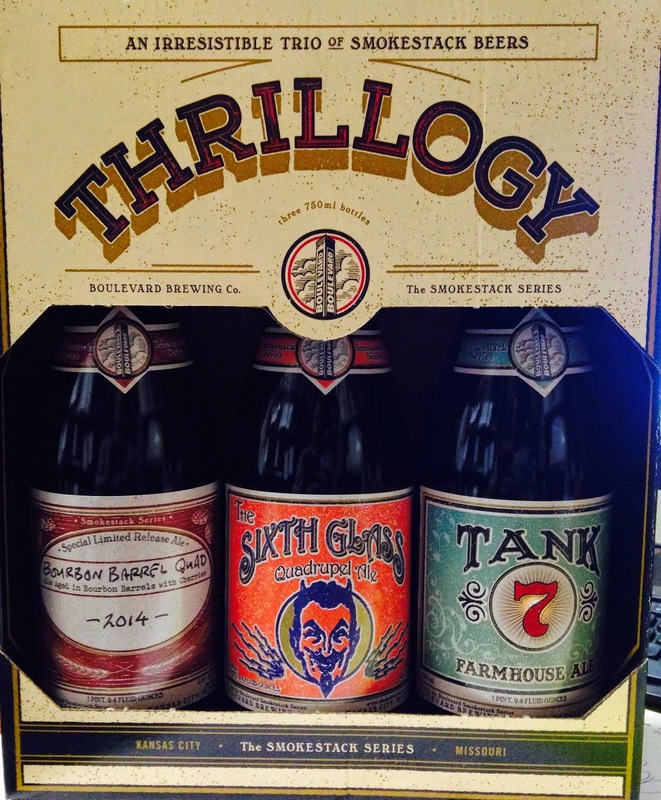 Due to the success in the contest, a number of brewers decided to brew the style and called it “Speciale Belge”. First Prize Gold Medal in the British Bottlers' Institute 2000 Ale and Lager Competition, May 2000. First Place in the Christmas Beer Competition 1996 organized by the Finnish daily paper "Paivyri"
Tied for equal First Place with "Gluehkriek" from Belgium in the Christmas Beer Competition 1999 organized by the Finnish daily paper "Paivyri"
Overall Champion in the Christmas Beer Competition 1999 organized by the Swedish newspaper "Dagens Nybeter"
Harvey's Christmas Ale has been brewed for over a quarter of a century. Christmas Ale 2000 A. D. has an original gravity of 1090 (8.1 % ABV) and is dark in color (30 EBC ) Maris Otter Pale Ale Malts are blended with highly roasted "crystal" malts and pinhead oats. 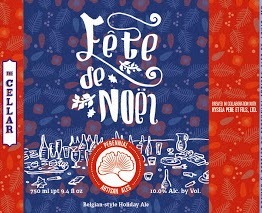 Christmas Ale is a "heavily hopped" beer (approximately 45 IBU). Harveys pride themselves on brewing from local Fuggle and Golding hops grown within 35 miles of the brewery. Fermentation takes place in their traditional "open" fermenting vessels using a strain of yeast which has remained unchanged in the brewery for over forty years. In conditioning tanks the brew is then dry-hopped. The beer remains in these tanks for between two and three weeks during which time it undergoes a secondary fermentation and the hop oils are incorporated into the complex flavor of this brew, giving a most splendid aroma to the finished product. A further period of cold storage is followed by bottling in the old vat house of the brewery. The beer has an alcohol content of approximately 8% and is reminiscent of the strong "stock" ales drunk during the eighteenth and nineteenth centuries. 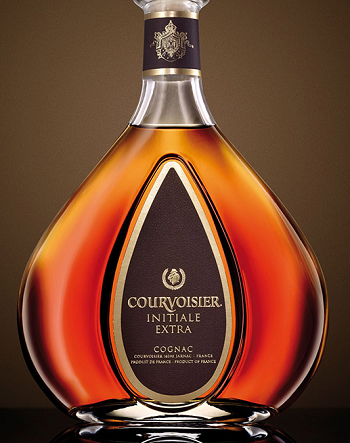 It has remarkably good stability and some devotees keep it for twelve months before drinking it! Angel's Envy our third blend just arrived! 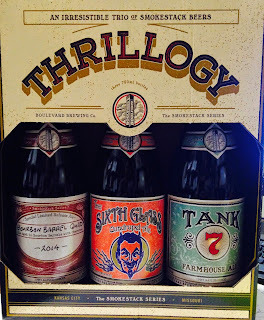 In stock at Forsyth now, should hit the rest of the stores this afternoon. This batch we tasted and selected with master mixologist and whiskey expert, Ted Kilgore, of Planter's House and Wes Henderson of Angel's Envy! Make sure you visit Planter's House as they have some cases there also for you to enjoy in your favorite cocktail! We tasted through different barrels and hand picked this blend! This bottle comes in a box bigger than a computer box! We received 1 more bottle! 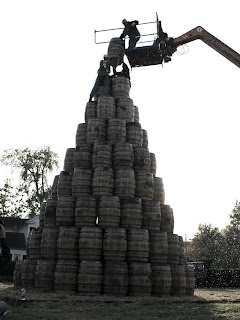 A humble beginning often leads to great things, witness The Macallan distillery. 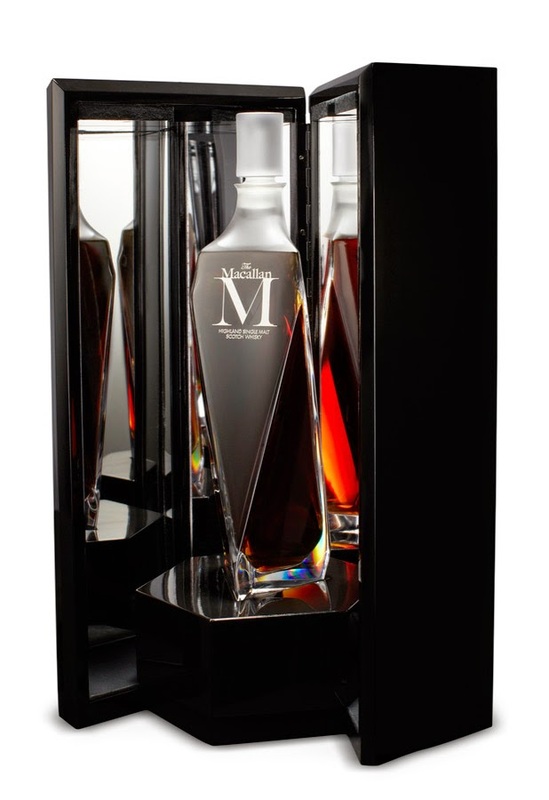 Founded in 1824 by Alexander Reid, a barley farmer and school teacher, The Macallan is today poised to release a single malt scotch, M by The Macallan, for a mere $4,500 a bottle. It’s a fair guess that Mr. Reid never envisioned this for his small off-season whiskey operation. Indeed, as recently as 2010 The Macallan 64 Year-Old in Lalique Crystal set a world record at auction, selling for $460,000. Clearly the barley farmers in Scotland are on to a good thing. 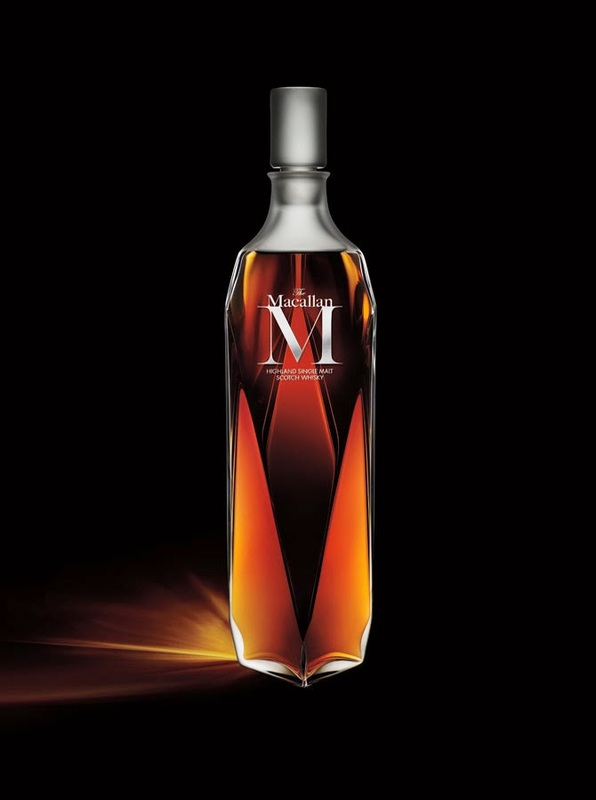 The bottling artistry behind M is the result of collaboration between legendary designer, Fabien Baron, famed crystal house, Lalique. 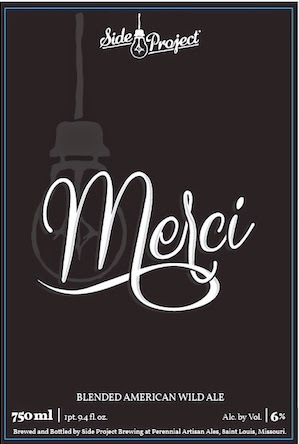 The result is 1,750 individually numbered handmade, mouth-blown crystal decanters of M to be released worldwide in 2013; only 355 of them will be available in the United States. Fancy crystal decanters are nice, but what’s inside matters most every time. Using what they term ‘curiously small stills’ (read: smaller than average stills) Macallan takes a prime cut from each distillation—coming in at a mere 16% of the total spirit distilled. The smaller stills expose more of the spirit to copper which yields the rich, fruity flavors that define The Macallan. You can go for it now, or wait for an auction but if history is any guide you’ll pay even more. 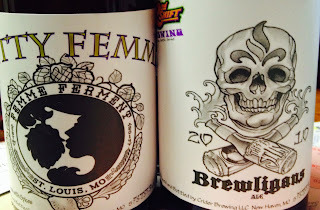 We revisit our brewing roots with Woodcut No. 8, a Barleywine style ale aged in virgin oak barrels. The new oak creates a delicate crème brûlée character with hints of toasted coconut, vanilla and turbinado sugar and notes of dried fruit mingle with the rich malt. Each Woodcut offering is a truly limited edition beer with a unique flavor that comes from select hops, fine malted barley, and our brewers’ careful aging process. Enjoy. 10.3 % Alc. Alc. by Vol. 2nd Shift and Friek BRC Emails sent out now. This one I am doing on Monday. .....is scheduled to hit sometime this week. This will also go through the BRC. Part will go though the top supporters and part will go through the top DESCHUTES supporters. We will do the BRC report on Monday after this weekend. A deep, dark Imperial Stout, The Abyss has almost immeasurable depth and complexity. Hints of molasses, licorice and other alluring flavors make it something not just to quaff, but contemplate. 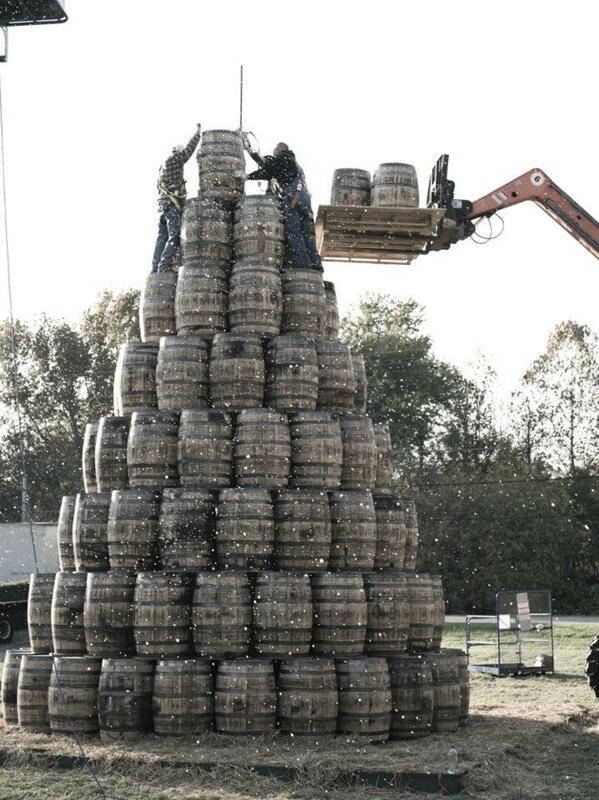 As for the great "drink it now or let it age" debate, we stand clearly on the fence. Distinct and delicious on release, the flavors meld and fuse into an entirely different pleasure a year on. 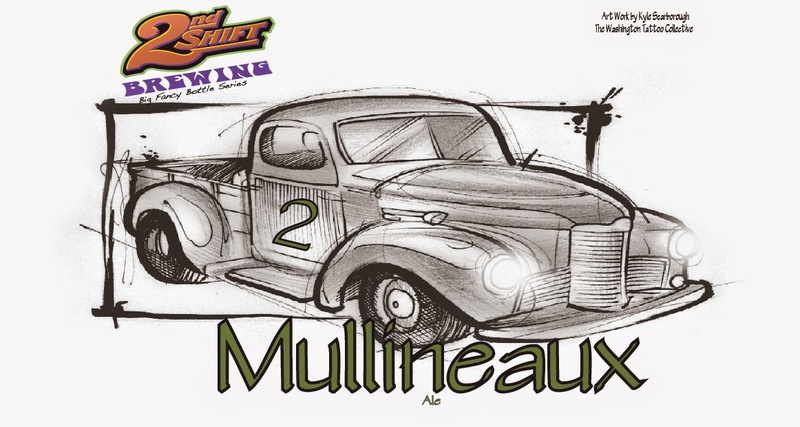 This is the beer that Jason S. picked the name for in our name the beer contest! No release date yet. Stay tuned. Label is not official yet. Thanks to Cory and Karen!! Cory said he is labeling and waxing the bottles this week sometime! We will then get together and pick a date for the release in January 2015! Get ready BRC members, this will be released through the BREWard Club! 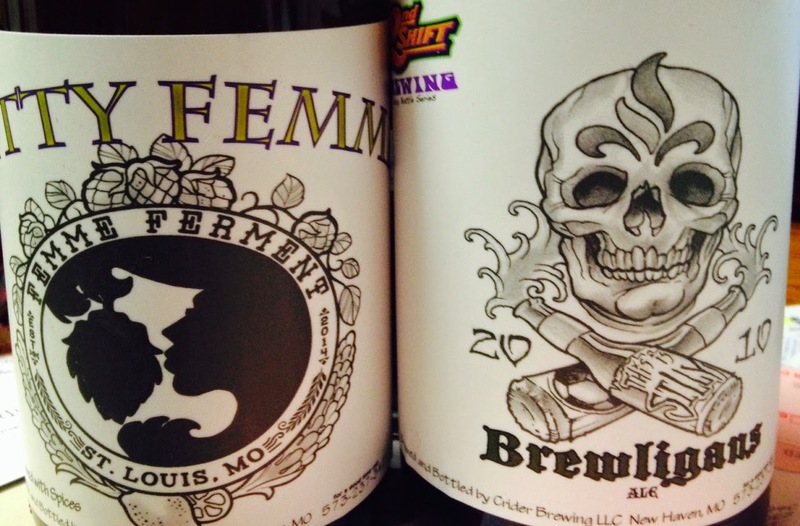 We will do a release party and tasting with Cory King (owner and brewer of Side Project) when it arrives. We will be getting 300 bottles. So if you have been a member of the BRC and have not gotten any releases, we will make it further down the list with this exciting beer! We are thinking of having a pre-release tasting party for top BRC supports at The Side Project Cellar mid week and then the official release on Friday at The Wine and Cheese Place. These will be released on Thursday through the BRC Program! We only have 12 bottles of each! Six Row and La Consecha Coffee!! 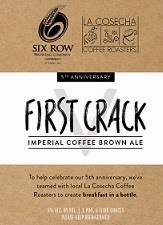 We took La Cosecha's custom roasted and seriously good coffee and combined it with our Imperial Oatmeal Brown Ale. We call the taste result, First Crack, a reference to the popping sound a coffee bean makes during roasting. Big coffee aroma and flavors meld with hints of chocolate and toasted bread. Pair with roasted meats and chocolate desserts, any time of the day. 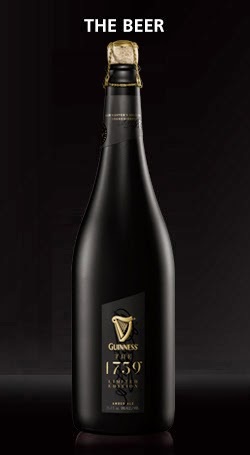 A new limited Guinness release! A rare, limited edition, small batch amber ale from the Guinness Master Brewers. 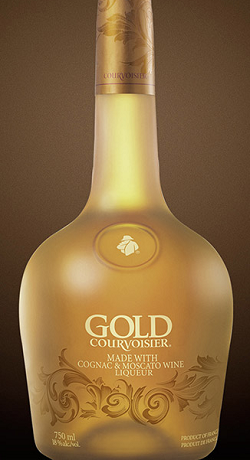 One sip and you will discover its rich taste with distinctive notes of caramel and warming butterscotch. The reason? Guinness The 1759 is brewed with fine peated whiskey malt, just like those used in the world’s best whiskeys and scotches. Another step closer on this one. Cory just stopped by and he said the label just got approved! It is true, I just saw it! You know it is going to be spectacular! We will then get together and pick a date for the release in January! 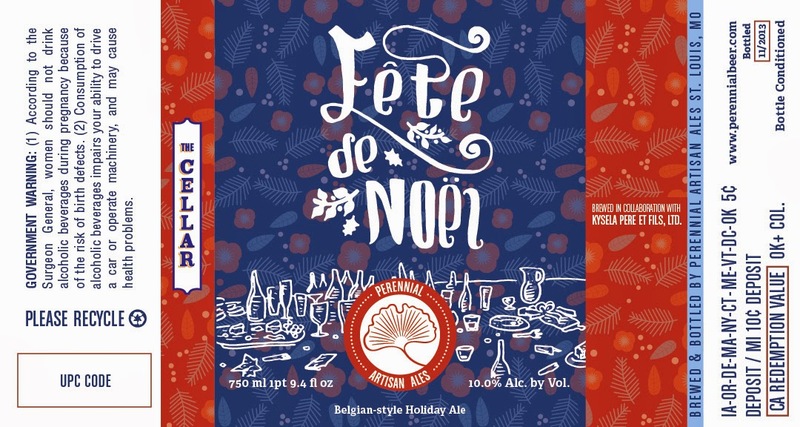 A strong, Belgian-style ale meant to be shared with friends and family. Perfect for a cold winter's night, it fills a the glass with layers of rich cocoa, plums, and raisins. 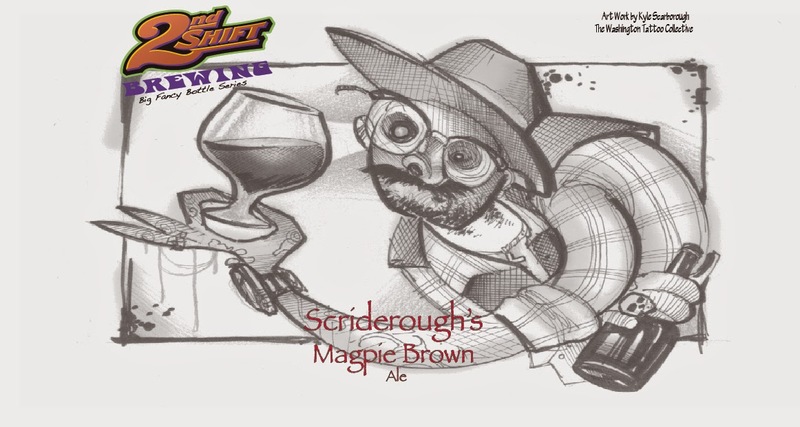 Hints of orange and rosemary provide a light accent to the beer's dark complexity. 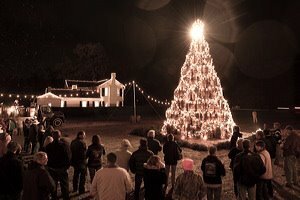 Enjoy it this Christmas or cellar it for celebrations to com.